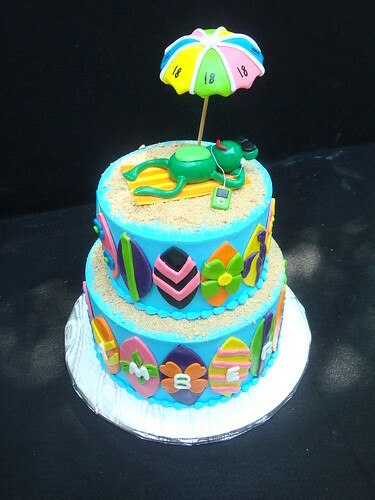 Frog’s Day at the Beach Birthday Cake, originally uploaded by Austin Cake Studio Holley. A fun cake to create for a very creative 18th birthday! The cake was Chocolate and Vanilla cake with vanilla buttercream, with fondant accents. Wizard of Oz Cake, originally uploaded by Austin Cake Studio Holley. 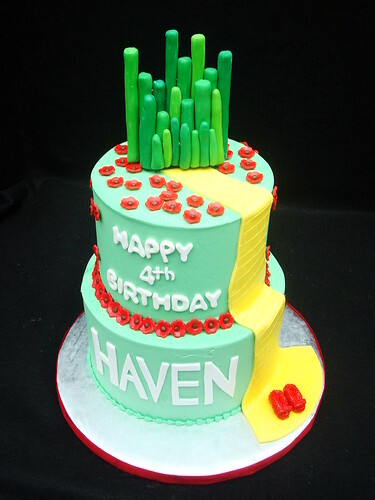 I did this cute Wizard of Oz themed cake for little Haven’s Birthday this past Saturday at the Austin Children’s Museum. The cake was Chocolate Cake with Chocolate buttercream, finalized with vanilla buttercream and fondant accents. 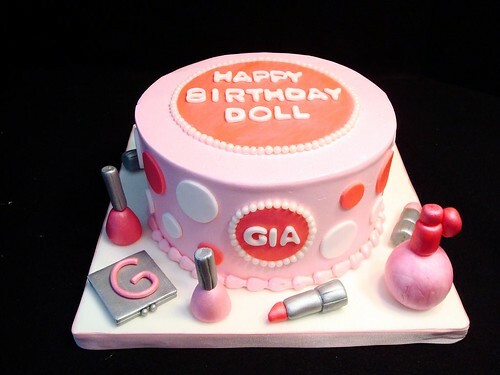 Make Up Cake, originally uploaded by Austin Cake Studio Holley. This cake done for a little girl’s 5th birthday. The cake was White cake with Oreo Cookies and cream filling, iced with pink vanilla buttercream. Reeling in the Big 1! 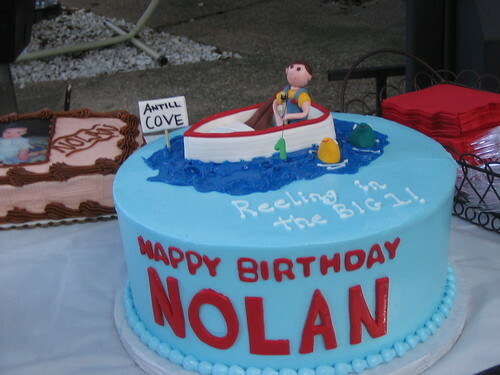 Reeling in the Big 1!, originally uploaded by Austin Cake Studio Holley. 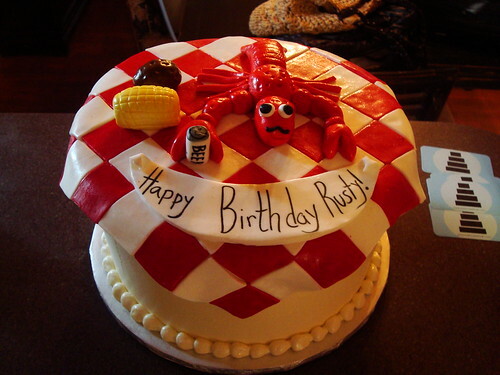 Crawfish Boil Cake, originally uploaded by Austin Cake Studio Holley. 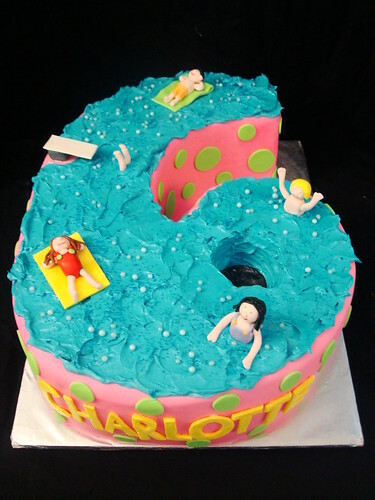 Pool Party Cake, originally uploaded by Austin Cake Studio Holley. So, this is obviously being posted a couple months late…busted! 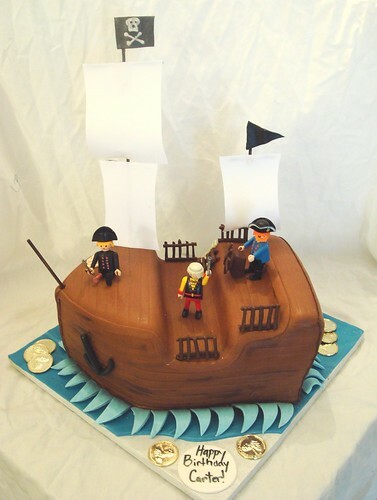 Pirate Ship Cake, originally uploaded by Austin Cake Studio Holley. I loved doing this cake, something about it made me so happy! I couldn’t resist singing “yo, ho, yo, ho, the pirates life for me!”, when making this cake! Here is a picture of the birthday boy as well, with the cake. 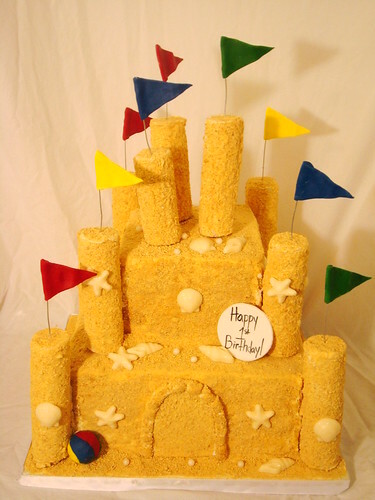 Sandcastle 1st Birthday, originally uploaded by Austin Cake Studio Holley. This cake was done for a set of triplets that were turning 1. The cake was accompanied by three smash cakes. The cake flavors were red velvet with cream cheese and vanilla cake with a white chocolate ganache filling. 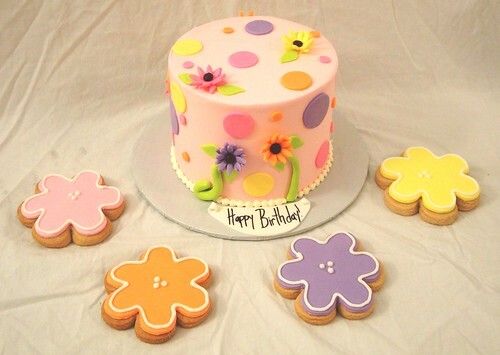 Daisy Birthday Cake with Cookies, originally uploaded by Austin Cake Studio Holley. 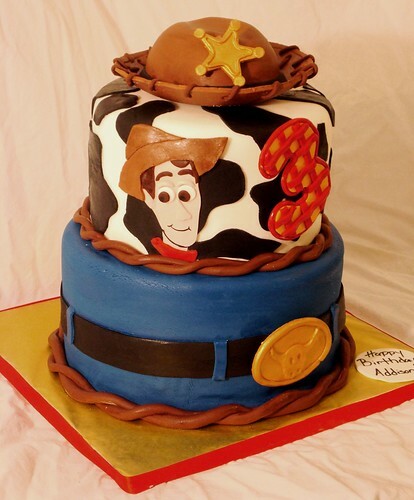 Toy Story Birthday Cake, originally uploaded by Austin Cake Studio Holley.